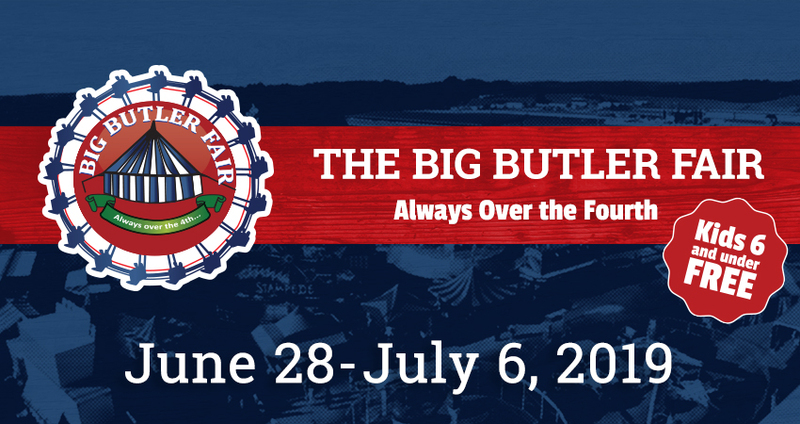 Come to the largest agricultural fair in Western PA - the Big Butler Fair! Friday, June 29th through Saturday, July 7th. On Sunday, July 1st, witness the smashing and crashing of school buses at the school bus demolition derby. Be sure not to miss the iconic fireworks on the 4th of July and Bike Nights on Friday, June 29th and Saturday, July 7th. Daily attractions that are fun for the whole family include rides, a petting zoo, camel rides and more!